LÜM-TEC has made its specialty to sell watches with particularly bright varieties of photoluminescent watches using strontium aluminate-based coatings. The brand features some designs inspired by aviation, but it is refreshing to see that they walk the extra mile and come up with original designs. 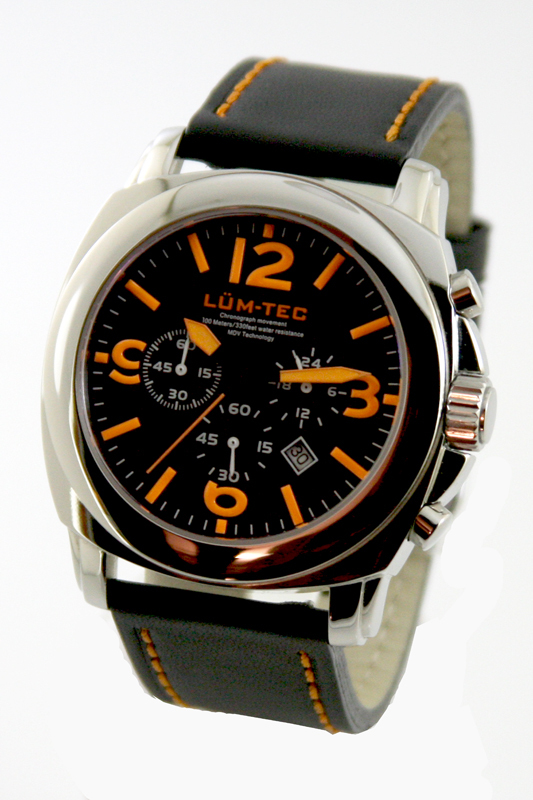 LÜM-TEC also uses out-of-the-ordinary movements, like the twin barrel vintage Russian movement of the C series or the Time Module NH25, a Seiko automatic caliber with rotor winding in both directions. Watch collectors have been allowed to pre-order the upcoming limited Tungsten M series, which is the World’s very first automatic watch with tungsten case. Tungsten has an extremely high hardness and low ductility, which makes it extremely difficult to fabricate. It is not as scratch-proof as the tungstene carbide compound, but it still has a much harder surface than stainless steel. Editor tLex of OceanicTime has exclusive footage of LÜM-TEC’s iupcoming original diving watch design. Check out the OceanicTime article for details and exclusive renderings.